Suja, meaning long, beautiful life, embodies the promise that flows from the cold-pressed beverages it delivers in each and every bottle. Suja was founded by four diverse San Diegans from different walks of life that came together in the most unexpected of circumstances to form what is now the fastest growing organic, cold-pressed and Non-GMO beverage company in the U.S. Suja’s story all began from a shared dream to help people everywhere transform their lives through conscious nutrition. Co-Founder Annie Lawless had been juicing her entire life and from a young age had been aware that what you put in your body affects how you look and more importantly, how you feel. Her friend Eric Ethans had a background as a raw food chef and spent his entire life researching and pairing ingredients to create healthy, delicious meals. The two met in San Diego and bonded over their mutual love of delivering convenient nutrition through foods and beverages that also tasted good. They were frustrated by the lack of pure, organic products on grocery store shelves and decided to create their own juices at home. Meanwhile, James Brennan, a leading hospitality visionary, award-winning restaurateur and one of San Diego’s most successful entrepreneurs, met Eric and was instantly hooked on his homemade juice. Enter Jeff Church, a Harvard MBA and successful social entrepreneur, known for his role as founder and CEO of Nika Water, a social enterprise that donates 100 percent of its profits to clean water projects and poverty alleviation around the world. The rest is history: Co-founders Annie, Eric, James and Jeff came together to form Suja Juice as we know it today, with a mission to get the best quality organic and Non-GMO juice into as many hands as possible. 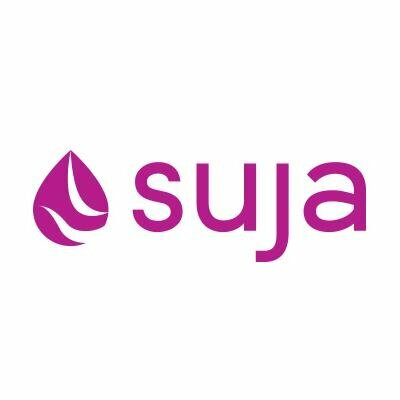 Through the large-scale use of organic, Non-GMO fruits and vegetables, and implementation of a breakthrough displacement technology called High Pressure Processing (HPP), Suja Juice has become the nation’s leading organic and cold-pressed juice brand. Suja named #2 in Forbes Most Promising Companies in 2015.Click here to read more.